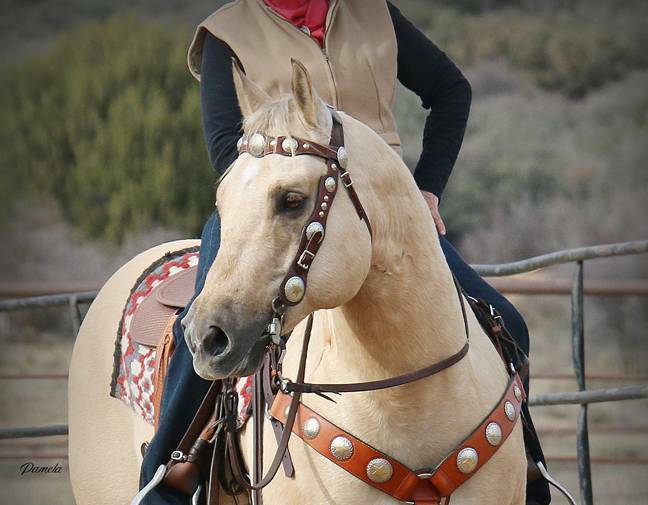 If you are looking for a true all around gelding take a look at “Bux”. We cannot emphasize enough how special and multi-talented he is. 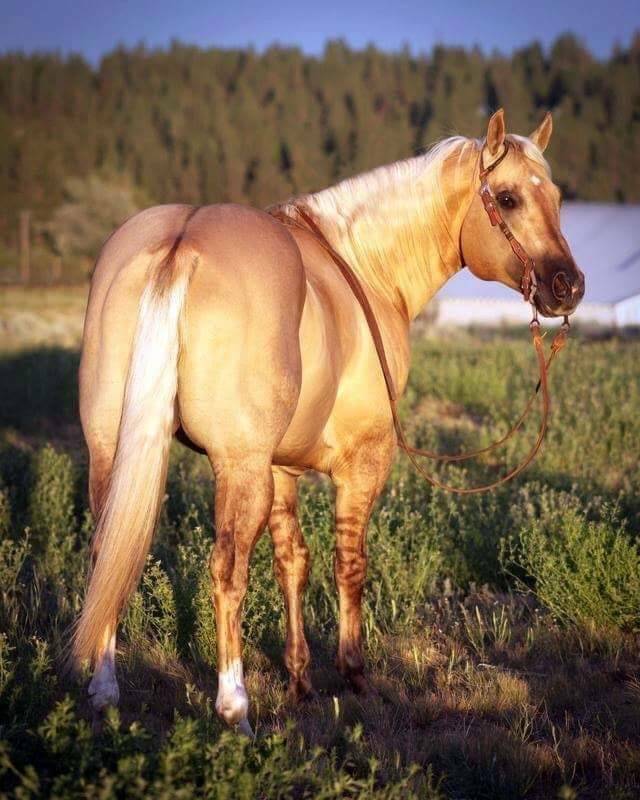 Bux has the conformation of the old bulldog style quarter horse that is stout, well balanced, with lots of substance and great feet. 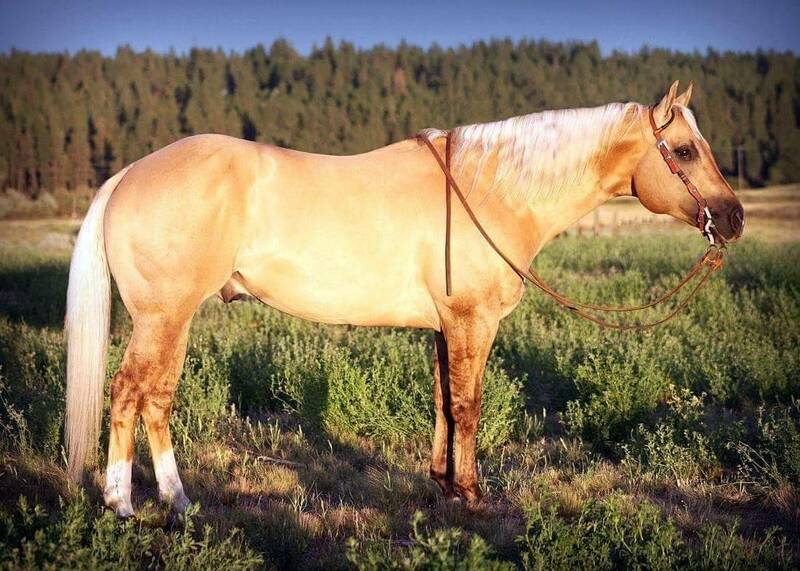 He has a touch of the modern thrown in with his fancy palomino color and extreme dun factor that will attract attention everywhere he goes. 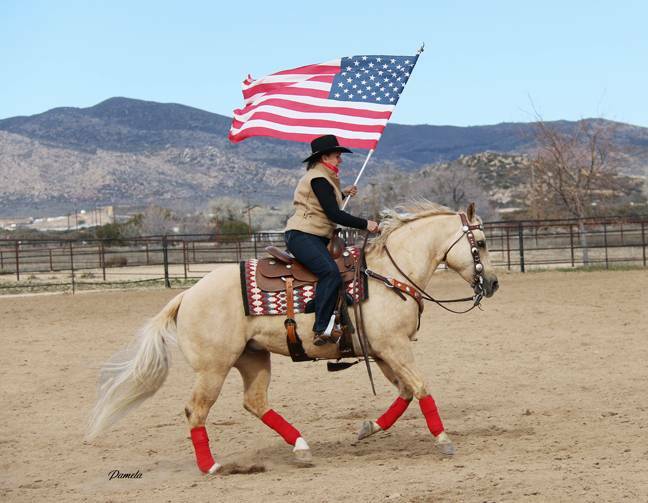 Bux has had reining training, has a nice turn around, good stop, nice flying lead changes and has the classic smooth movement we all desire. 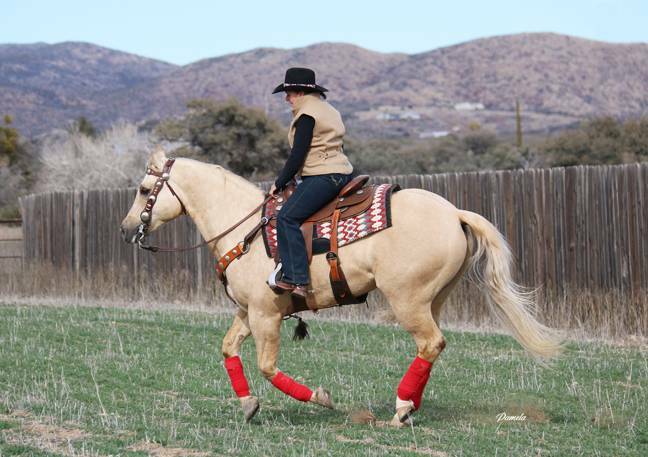 He has also been used as a mounted shooting horse. He is not bothered by the noise, the gun fire or different obstacles. He is ready to compete on. 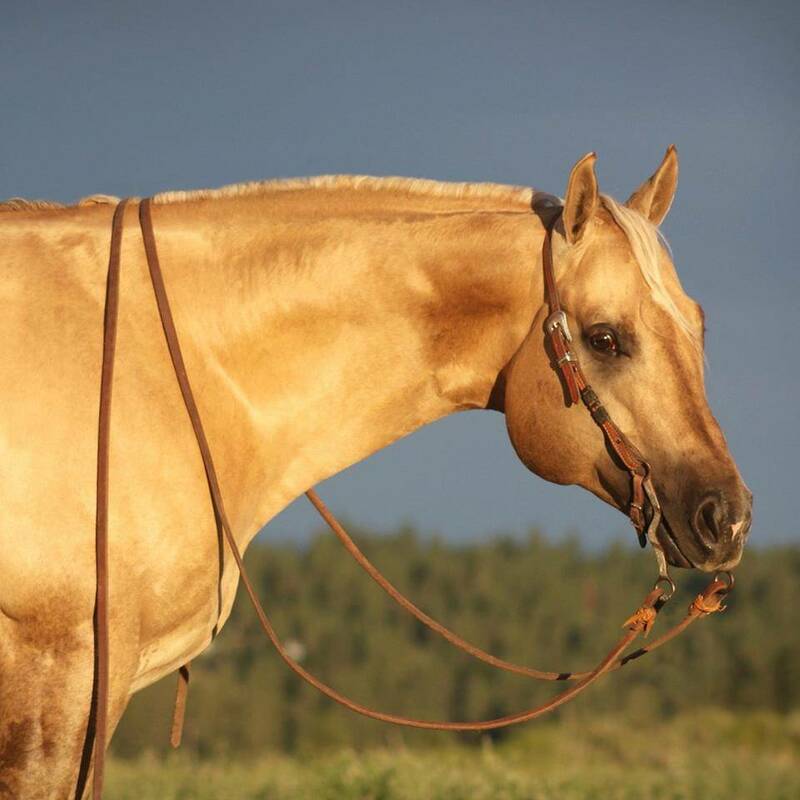 He has been used at the ranch to do ranch chores, has been roped off of in the pasture and has been trail ridden everywhere. 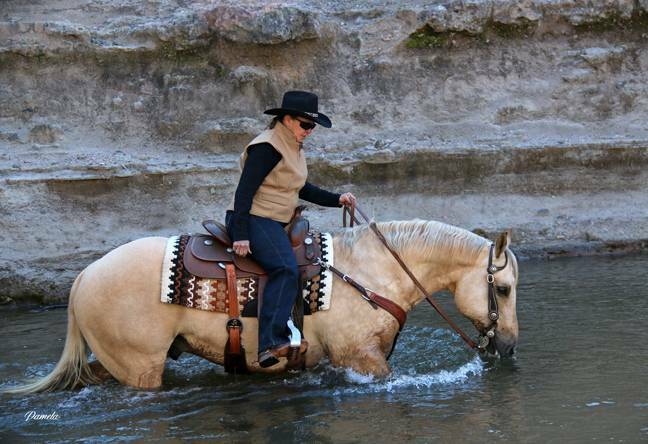 He is cowy working cattle, is confident and safe on the trails and is just a blast to ride in the arena. There just is not much he has not done or cannot do. Bux is extremely quiet, comfortable, dependable and is suitable for all levels of riders from children to professionals. 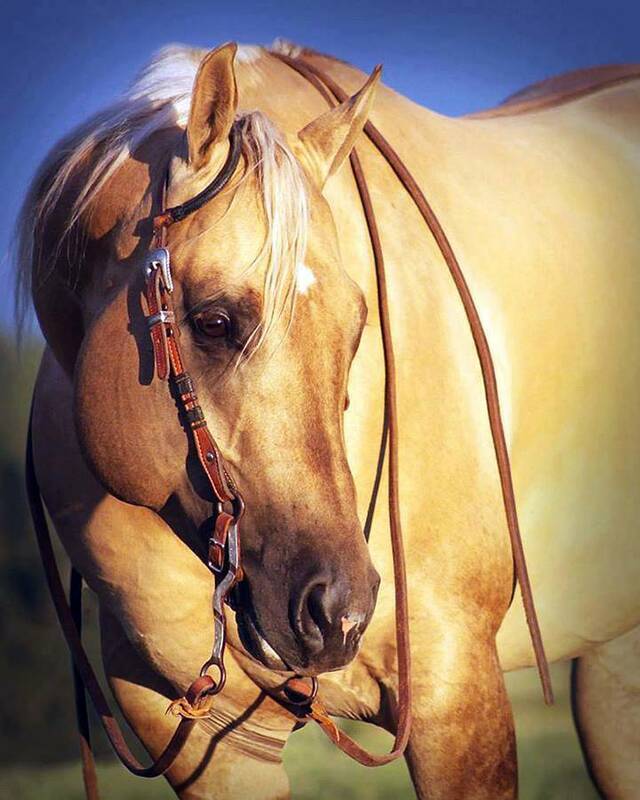 He is the same steady horse every day and at 15.0 hands, 1200 pounds he is the perfect size. With his willing to please attitude and wonderful personality he will be a pleasure and delight to his new owners.